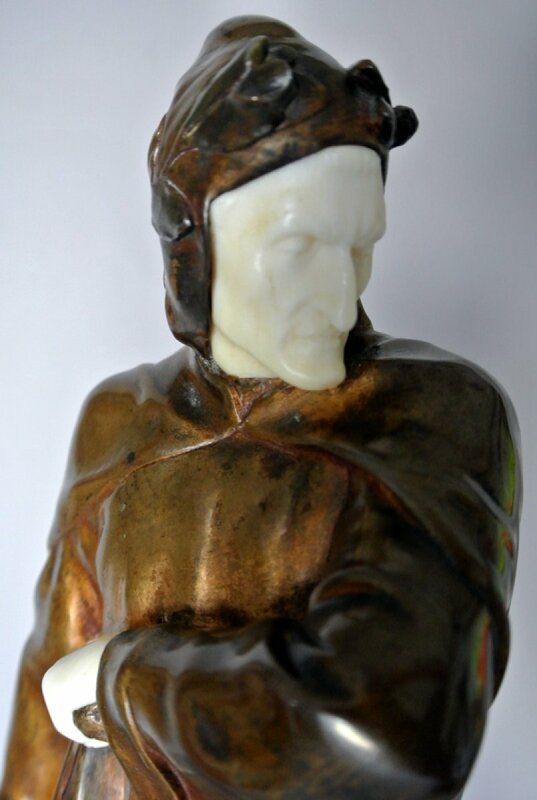 Portrayal of Dante Alighieri, on the theme of Hell drawn from the Divine Comedy. 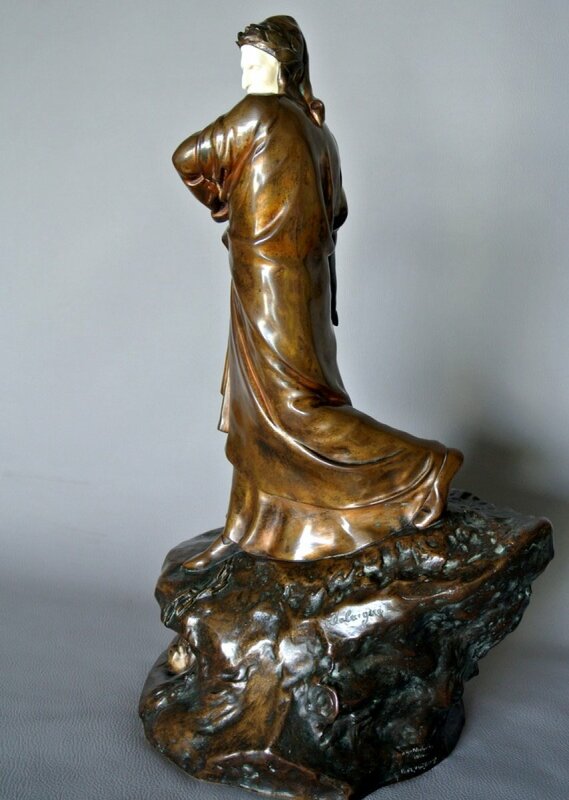 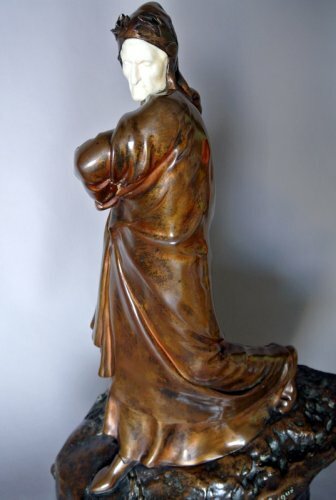 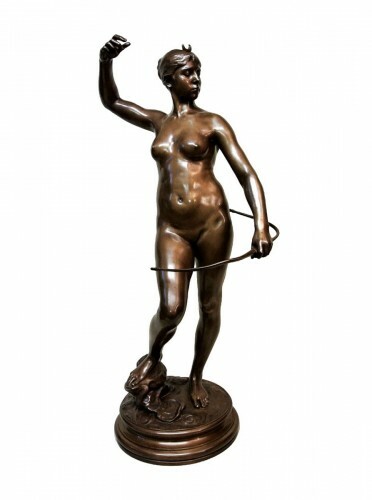 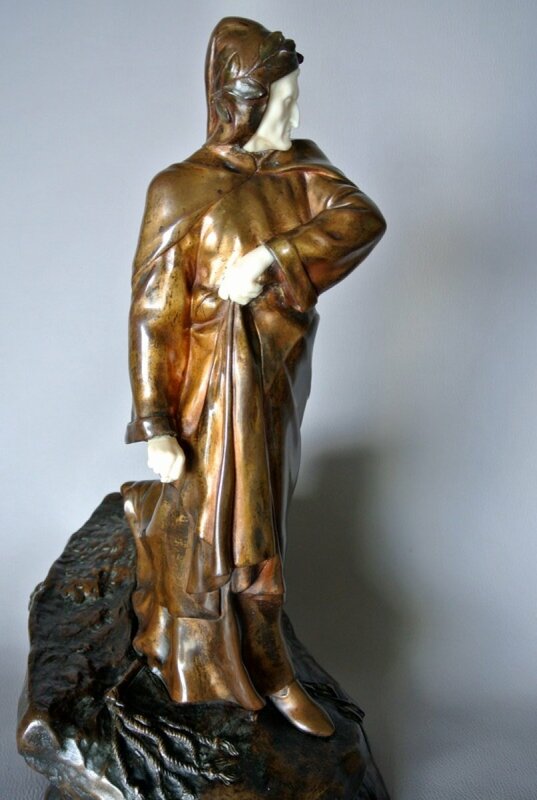 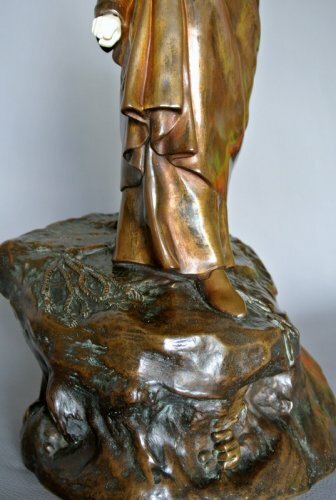 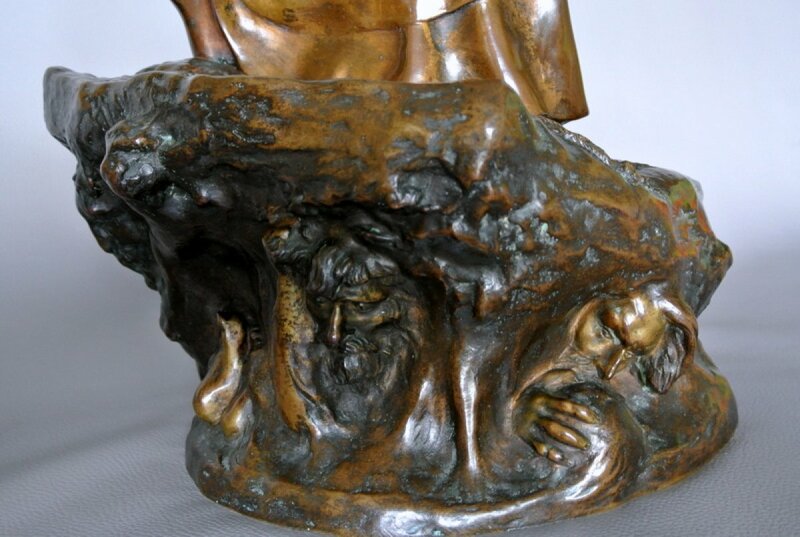 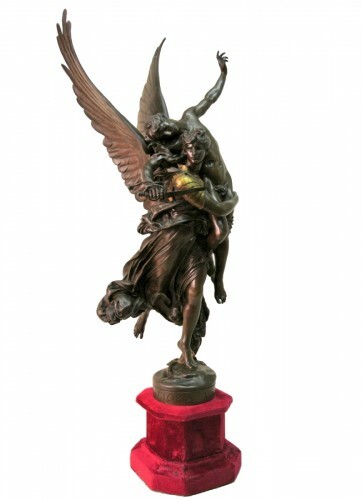 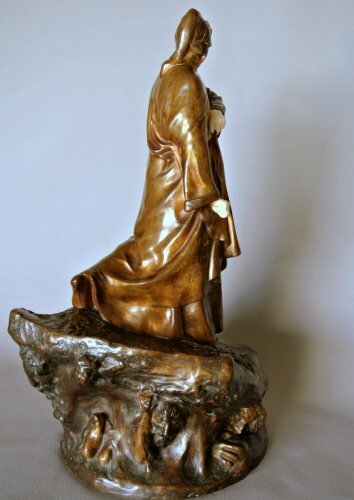 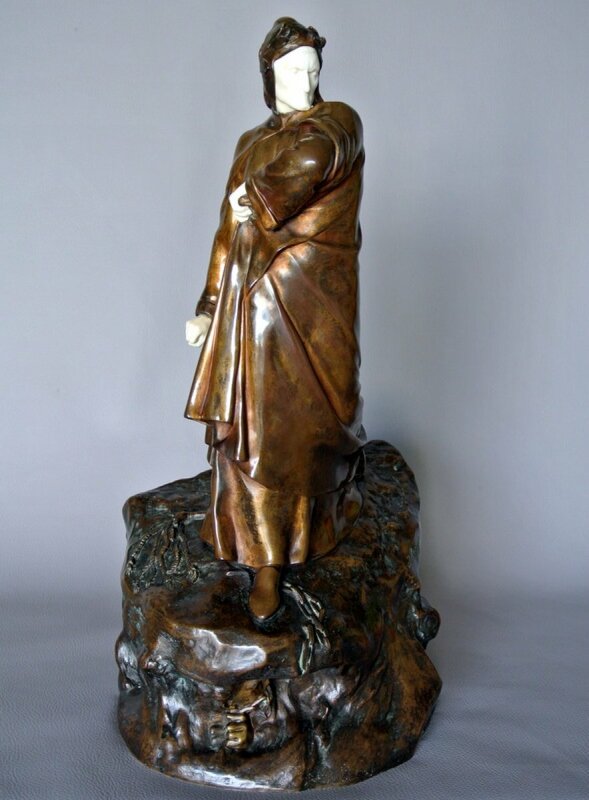 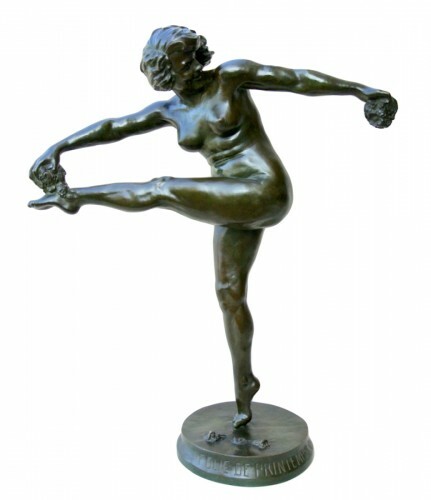 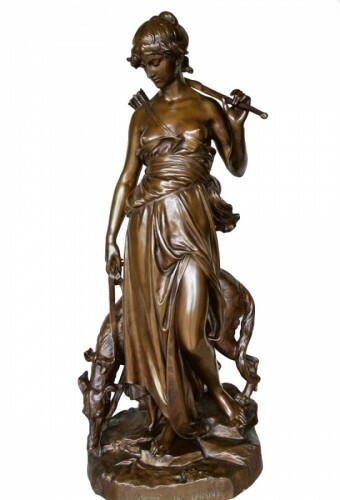 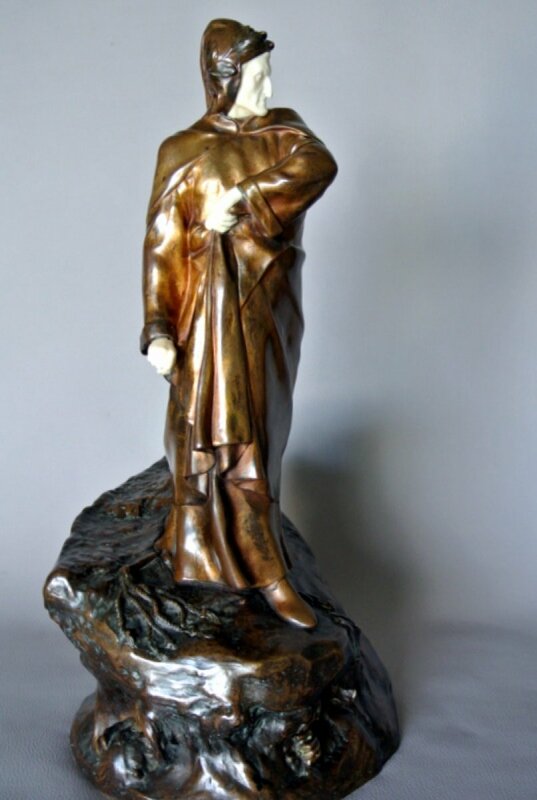 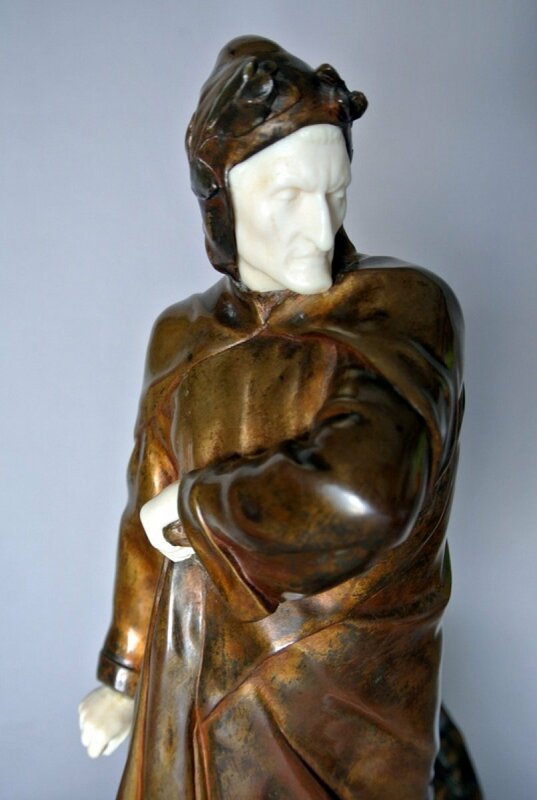 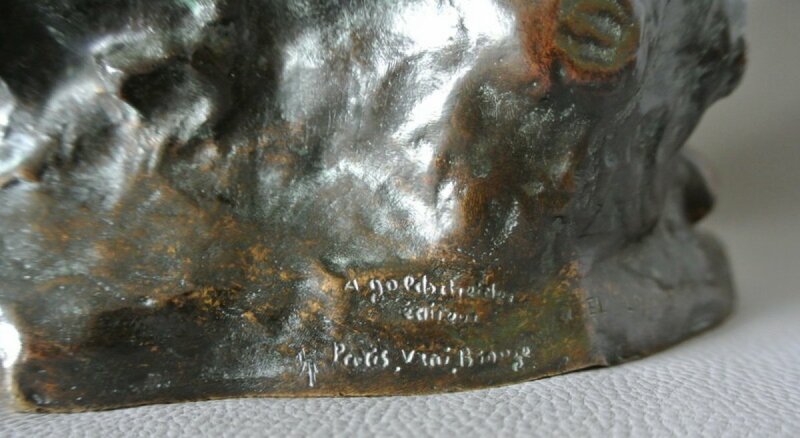 Bronze statue (ivory face and Hands) signed Delaigue, produced circa 1920 with the stamp of the publisher Arthur Goldscheider. 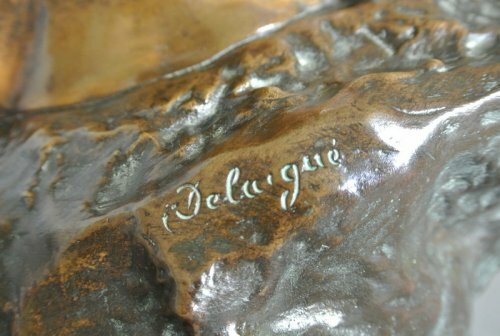 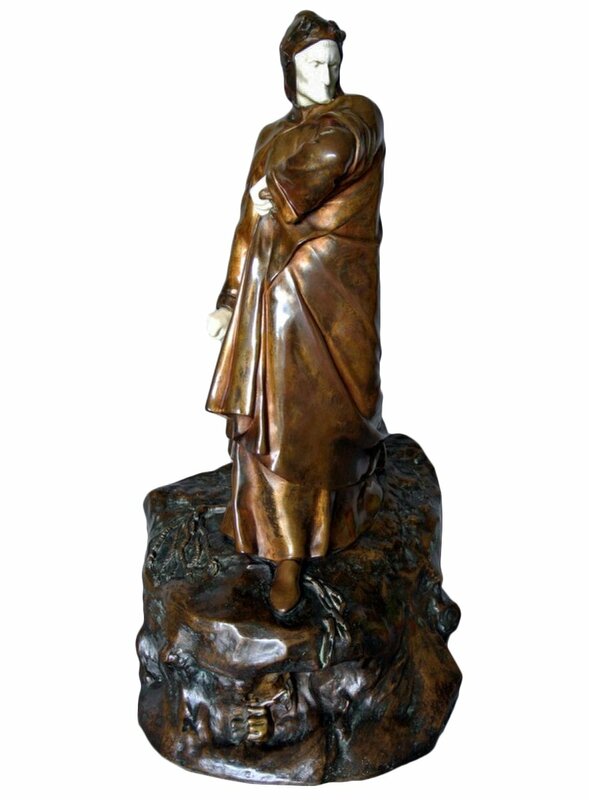 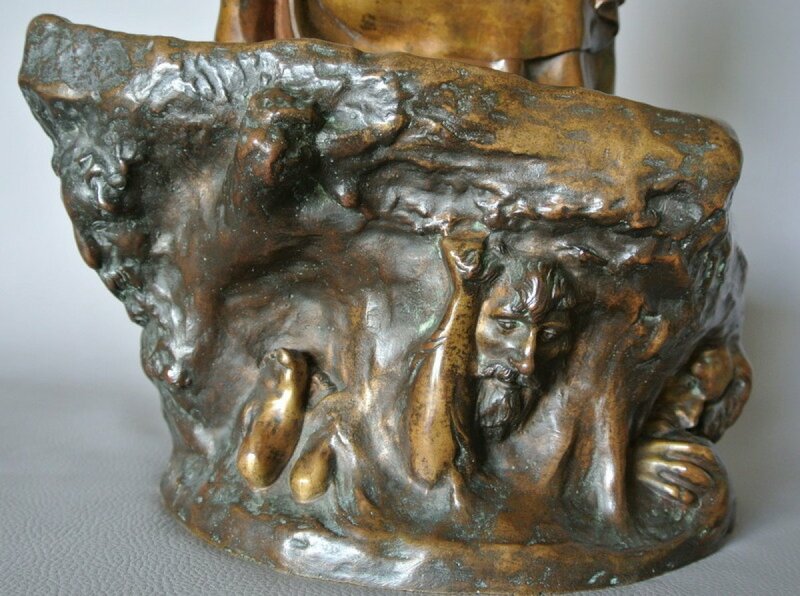 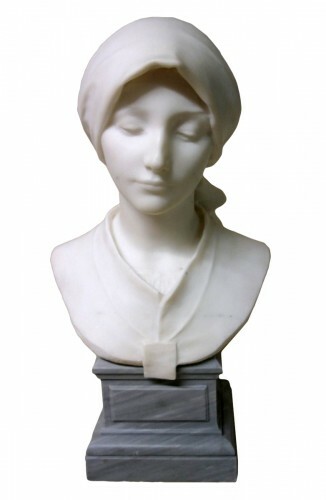 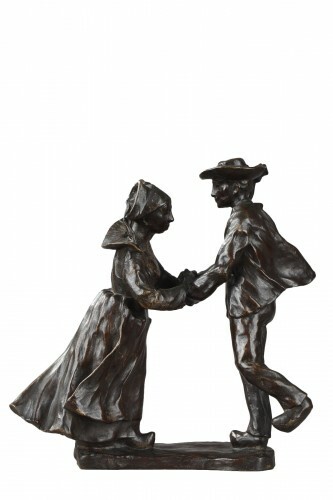 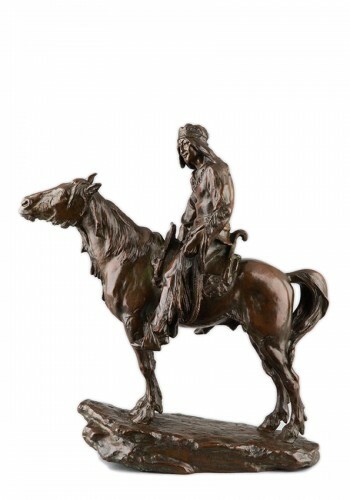 Constant Delaigue, French sculptor born in Gaujac (Gard) 1878/1968, member of the French artists since 1909.